Amongst the lads we have a soldier, a policeman, a mover and a construction worker. I am a teacher now, but some careers ago I was a development social worker. The movie had aspects that we all could relate to. In my previous post, I have written about the movie American Sniper. I made a comment about the true story being portrayed in an American way. Well, after watching The Gunman, I take my words back. It was a good movie. 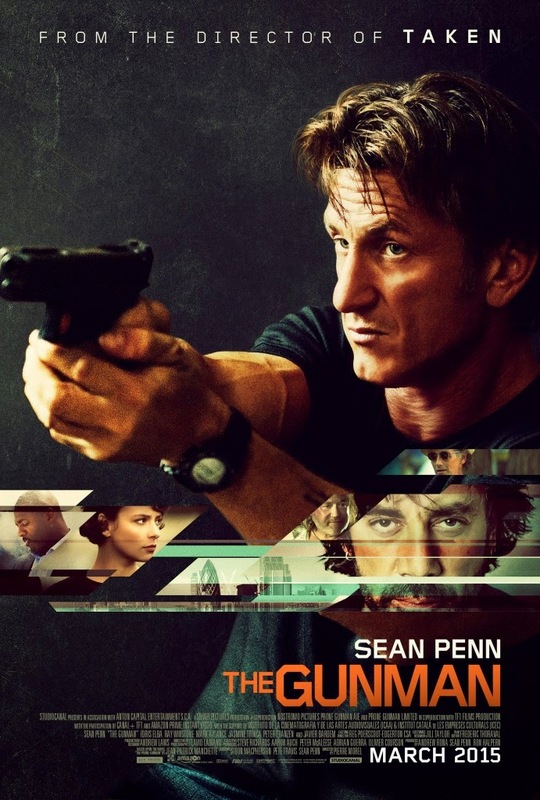 Sean Penn did his job well, but it was obvious that this was a real (American) movie instead of a true story turned into a movie (like American Sniper). Penn’s character Jim is a gunman who fell in love with a western development worker in Africa. After doing his job, he had to flee the continent and leave her. Eight years later, they meet again and he wins her back with a lot of action and side stories added of course. The classic fight for your woman and your own freedom/justice plot. If you were to ask me which movie to watch, I would definitely recommend to watch American Sniper over The Gunman. For the movie fanatic amongst us, you should definitely watch them both. For me, it was a fun night. Mainly because I got to spend time with my favourite men. With all that is going on in my life, I know that I must have done something right to have them around. They are all so different from each other and yet, when you put them together, it’s a perfect combination. Words cannot express my gratitude for them, but if they were to read this than all I can say is: thank you for being you. I truly wish there was a more profound way of showing my gratitude for all that you have done for me. Sleep tight!